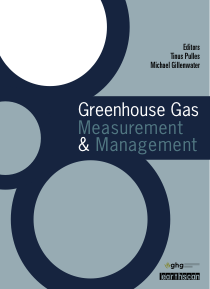 ICARB is now able to confirm it will be producing a special issue of the Journal of Greenhouse Gas Measurement and Management. What’s more: we want you to take part. The internationally respected journal, now in its third year, is published in conjunction with the US-based Greenhouse Gas Management Institute. You can read past issues of the journal here. We are inviting ICARB supporters to submit abstracts for our poster display at next month’s International Conference on Carbon Accounting, featuring world renowned carbon management speakers, networking and in-depth workshops. Authors of the best posters will then be invited to submit papers for a special edition of the Journal of Greenhouse Gas Measurement and Management in 2014. In recognition of this announcement we are extending the previous deadline for abstract submissions to 1pm, Monday 4 March 2013. Those interested in submitting an abstract should first register online for the event. You will be required to provide your own poster in a format no larger than A0 and must submit a title, affiliations, 300 word abstract, name and phone number to enquiries@icarb.org by 1pm Monday 4 March 2013. We’d especially like to welcome students and recent graduates to apply for a +50% discounted ticket by emailing enquiries@icarb.org. Everyone interested in the event should check for the latest information at icarbconference.org. This entry was posted in Carbon News, Top news on February 21, 2013 by Ric.